Expired 1mo ago . Last validated 2mo ago . Used 3 times. Daniel Cross I am validating that this deal work perfectly. 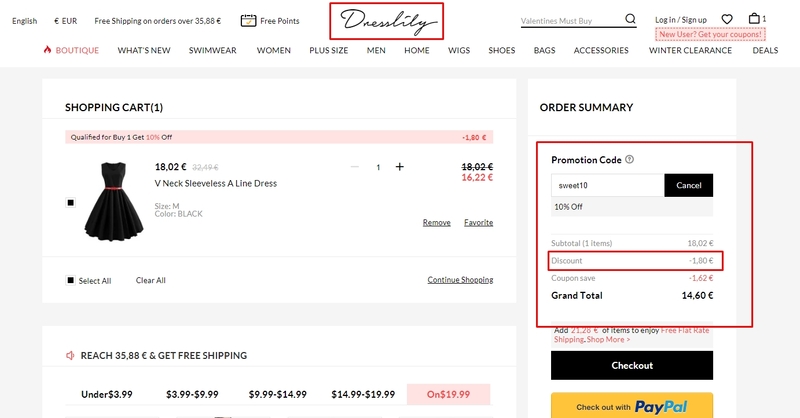 Just apply the promo code at the shopping cart and get 10% Off on Your Order at DressLily (Site-Wide). Vicki Floyd Apply the promotional code upon checking out in order to receive a discount of 10% off of your total purchase. Maria Rodriguez This deal works as described, enter the promotion code sweet10 during checkout to receive 10% Off on Your Order at DressLily (Site-Wide).